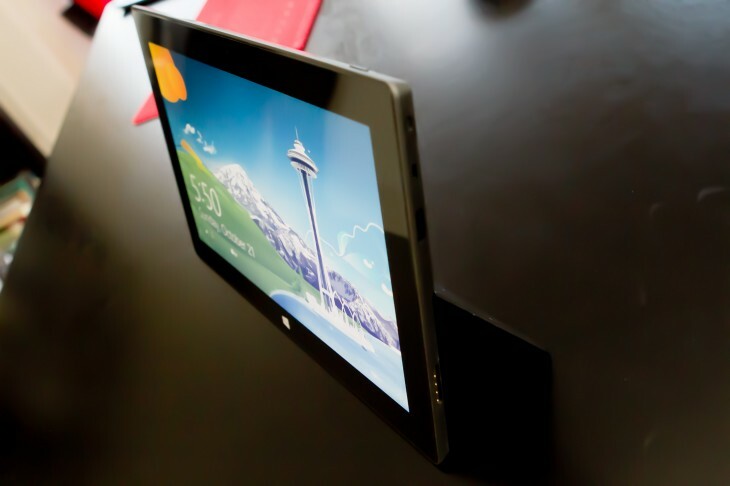 Announcing earlier this week that it intended to expand its distribution strategy for the new Windows 8 tablet device, Microsoft’s Surface RT tablet has reached its first official third-party UK retailer, John Lewis, as part of a larger worldwide roll out. The Surface is available to buy on John Lewis’ website from today, but already the retailer has sold out of the 32GB and 64GB variants (priced at £479 and £559 respectively), suggesting the retailer is not yet in a position to offer the products. However, John Lewis told Pocket-lint in a statement that the Surface RT could be purchased online from today, becoming available in its 41 stores over the weekend (December 15 – 16). Surface sales have been available direct from Microsoft since launch, but today marks the first official retailer beginning sales of the device. On Tuesday, Microsoft announced that it would ramp up production of the Surface, while expanding its sales channels to include “additional retailers” in the United States and Australia by mid-December. In addition, Microsoft shared that its holiday stores will be extended beyond the holidays, several of which will transition into permanent Microsoft retail outlets. While Microsoft has plans to expand its US retail presence, details on its UK plans have been limited. Microsoft has been negotiating with UK landlords about plans to open up stores in the UK, but reports suggest its UK expansion may depend on the success of stores in the US.